Dedicated to Goddess Tauni, who is believed to be the sister of Goddess Durga, Tauni Devi Temple is situated on Hamirpur-Awa Devi Road. 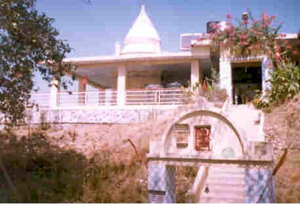 The temple is at a distance of 12kms from Hamirpur. It is a 200 years old temple and revered highly by the local people of the district. An annual fair takes place in the temple during the month of Ashran (June-July), which is attended by a large number of devotees from all over the state.